Lauro Golf Course is nestled in an environment of special nature, which currently has 27 holes, combinable from nine to nine, all par 72. From the beginning the design of the complex is based on respect for the surrounding environment and nature. The course was designed by the late Folco Nardi to make it technical, not difficult. A good concentration and the correct choice of stick with which to play will lead you to present a good card in any of the nearly fifty golf competitions that take place every year in Lauro. The extension of the holes 19 to 27, designed by Mariano Benítez, has followed this same trend of field that requires concentration and dexterity, completing the whole field, which can be played on foot due to its moderately flat character, although there are two holes located in the skirt of the mountain that give an exceptional view on the valley of Guadalhorce and the Mediterranean Sea. The clubhouse is located in an old Andalusian building, which has an excellent restaurant service, changing rooms, shop and office, as well as swimming pool, paddle school, horse riding and bowling club in the immediate vicinity. 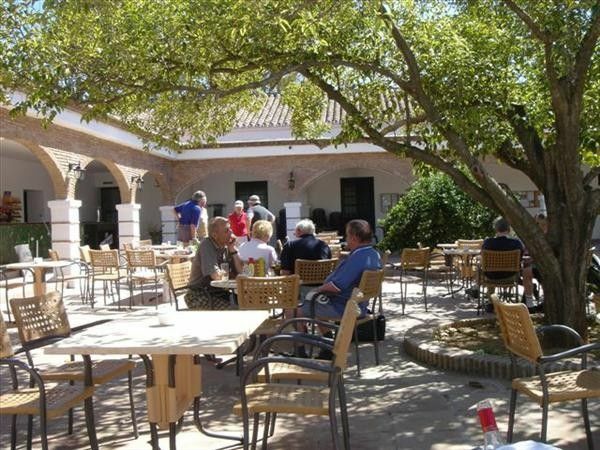 But the best thing about the clubhouse is its fabulous patio, in the shadow of a huge ficus centenary, where players can relax after a good game of golf.